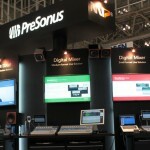 MI7 and PreSonus at Inter BEE 2012! 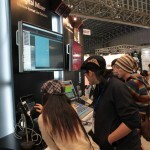 We exhibited at Inter BEE 2012. 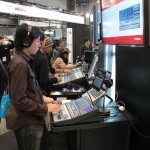 Recognized as a professional show for audio, video and communications, Inter BEE has established itself as an international exhibition showcasing top-level domestic and overseas broadcast, video, audio and lighting equipment as well as peripheral applications and solutions all under one roof. 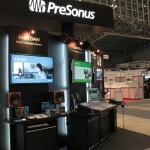 We displayed two sections for music production solutions: medium-format live solution and small-format live solution. 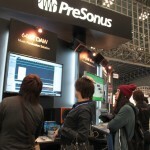 StudioLive and Studio One was most popular! The visitors enjoyed the sound and hands-on experience. We obtained approximately 700 leads! I attached some photo for your reference. Thank you for your support.